The promises of the LTE variant of the Samsung Galaxy Watch is exciting. The slogan “Go for days” promises that the Samsung Galaxy Watch can go nonstop for days on a single charge. The possibilities of a long lasting LTE smartwatch is endless. You can leave your phone at home and receive all of the notifications and calls on your smartwatch. This is almost accurate as there are a couple of things that will drain your battery fast. The Samsung Galaxy Watch we reviewed was the smaller 42mm version, which has a smaller battery, 270 mAh, versus its larger brother the 46mm version which houses a 472 mAh battery. 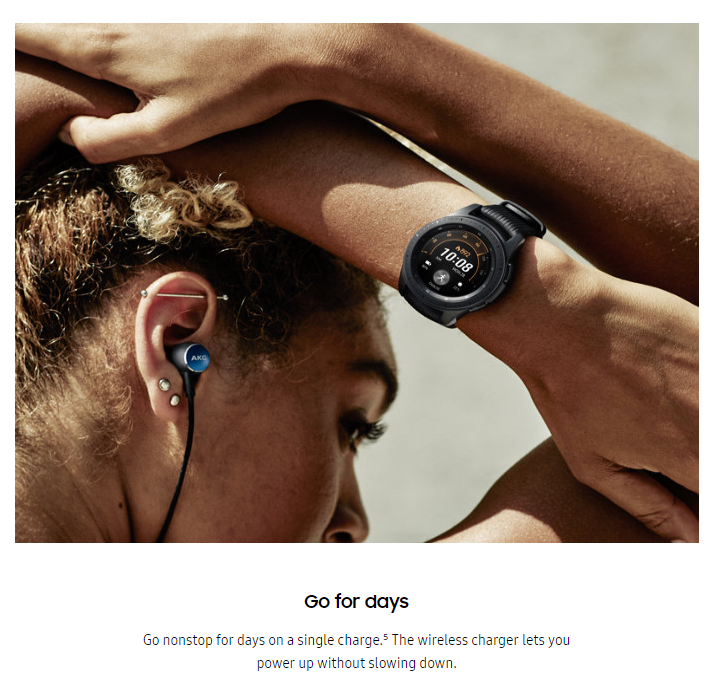 The image from Samsung shows a woman presumably stretching and about to go for her workout with her Samsung Galaxy Watch. If you are planning to use GPS on your run or bike, this will drain your battery. If you are doing short runs or bike rides that are less than an hour, you will still have the majority of your battery (more than 50%). For those training for half or full marathons or cyclist riding more than 2 hours, will be disappointed with the battery life of the Samsung Galaxy Watch. In the video above, I wanted to test the battery life of the Samsung Galaxy Watch using both GPS and LTE. Using the running working out via Samsung Health and streaming music via Spotify, I ran for approximately an hour and the battery was less than 50%. The battery was charged from the night prior – to make sure that the Galaxy Watch would be fully charged for the run. The Samsung Galaxy Watch did better when GPS and we were not streaming music. The battery drainage was about 5% per hour, while replying to a couple of text messages and occasionally checking notifications. The LTE version of the Samsung Galaxy Watch is definitely beneficial if receiving messages and notifications are of importance when you are not near your mobile device. For everyday users, the battery will be fine. Receiving notifications, responding to messages, and talking on the phone will give you all day battery life. 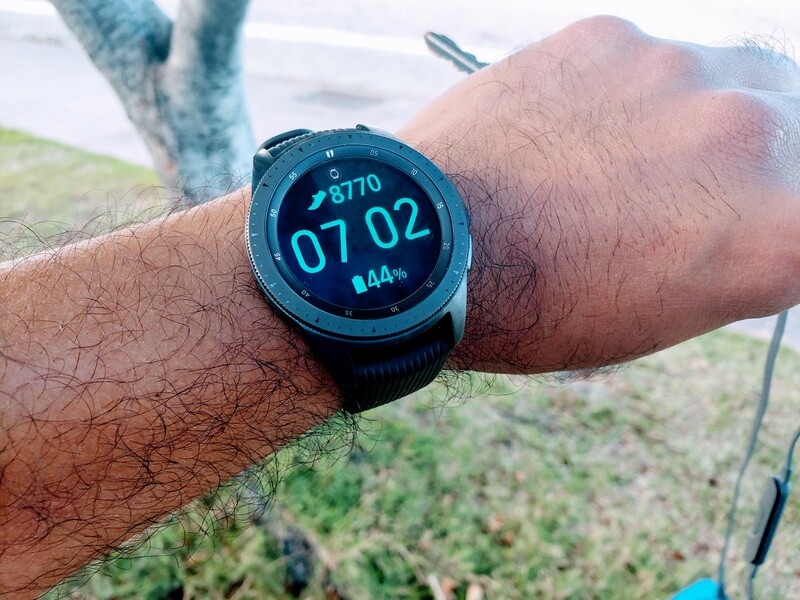 However, if you plan to use the Samsung Galaxy Watch as a standalone fitness tracker – you may want to consider other options, such as the 46mm version.